Settling residency status in Spain before Brexit. The importance of EU Registration for British Citizens. 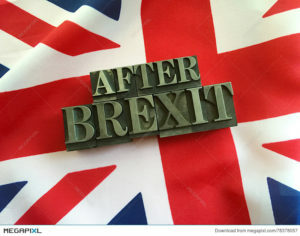 Britain and the European Community will officially sever ties on 29th of March 2019, without prejudice to the transition period, during which Britain will continue to be bound by certain European Community framework until December 2020. The period set by both parties to regulate and harmonise the above-mentioned divorce settlement, has resolved little or nothing to date. Particularly on such significant and relevant issues as the right to freedom of movement for British Citizens in the European Economic Area, and for EU citizens in Britain. This situation remains unresolved, resulting in those concerned possessing a considerable lack of information on the matter. Here at MSG LEGAL we would like to provide you with our professional opinion regarding the possible scenarios that could arise from these changes in circumstances, and the legal and administrative solutions in place. Always focusing our advice and solutions towards those British citizens residing in Spanish territory, or those that are in the process of acquiring property in Spain and may require clarity and assurance regarding how their legal situation in Spain could be affected by the changes that lie ahead. Above all we advise you to remain calm, your current legal status will not turn into a situation of irregularity overnight. Firstly, it is important to establish that current Spanish policy on immigration law lays down procedures to MODIFY THE LEAVE TO REMAIN REGIME, OR LEGAL STATUS, for Community citizens residing in Spain. In particular the regulations provide for the loss of EU citizenship, due to for example changes in family circumstances (separation or death, among others). For these cases the regulations provide for a transition in residency status from EU citizenship to non-EU citizenship, adapting the situation of a citizen from the EU regime to the national regime, thus protecting residency rights. Therefore, in the worst case scenario, whereby Britain withdraws from the EU without acceding to alternative international or bilateral treaties with Spain, which would enable British citizens to continue to enjoy their current rights, a change of residency status would be feasible for those affected, by means of an application to change their legal status. In order to do so, it is of vital importance to prove legal RESIDENCY IN SPAIN, and this must be done via the CERTIFICATE OF REGISTRATION AS AN EU CITIZEN. The reality is that a high percentage of British citizens residing in Spain have not applied for this certificate, some due to unawareness, others due to the misperception that obtaining a NIE grants them accreditation of legal residency. That is not the case. In reality those EU citizens residing in Spain that do not have a Certificate of Registration as an EU Citizen, are not considered to be resident. For that reason, it is fundamental that you apply for and obtain your Certificate of Registration as an EU Citizen. It is without a doubt the only document that officially accredits residency, thus enabling you, when the time comes, to modify your legal status from that of an EU citizen to that of a non-EU citizen. At MSG LEGAL we can advise you on how to obtain your CERTIFICATE OF PERMANENT RESIDENCE AS AN EU CITIZEN, and handle your application. We will assist you throughout the process to ensure that it is accurate and meets all validity requirements, together with the translation and correct presentation of the necessary supporting documents. The certificate of permanent residence is of a compulsory nature for those citizens wishing to reside in Spanish territory for a period that exceeds three months. The deadline for submission is of three months as from the last date of entry into Spain. At MSG LEGAL we can offer you the combination of services provided by our lawyers with expertise in Property Law, together with those provided by our lawyers with expertise in Immigration Law, for the purpose of protecting your rights in their entirety. This applies as much to citizens that currently reside in Spain, as to those that are in the process of acquiring a property in Spain whom may wish to seek advice regarding their legal status in Spain as UK citizens. Purchasing property in Spain. Differences between the surface area recorded at the Land Registry, the Cadastre… and the reality. Important reform to Urban Lease Law in Spain. New duration periods. Renting. Claiming compensation in the event of early termination by the tenant. Rent to buy in Spain. Smart solution. Claiming Reimbursement for PLUSVALIA, Municipal Capital Gains Tax.